It was a last-minute call by Zakspeed the one who saw Kevin Ceccon racing in Monza, for his home race as well maiden Endurance Cup appearance. 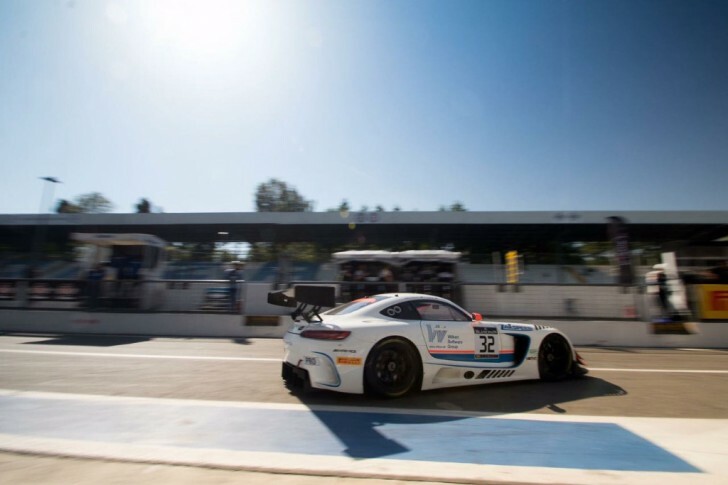 Kevin’s regular program is alongside Audi Sport with ISR Racing in Blancpain GT Series Sprint Cup, but on the Italian soil he had the chance to race with Mercedes AMG GT3 for the first time, sharing the cockpit with Luca Ludwig and Immanuel Vinke. Step-by-step every session Ceccon was getting confident with the car through Free Practice and Pre-Qualifying on Saturday, though not much kilometers were run as many traffic and interruption. By the way, Kevin made his best during Q2 on Sunday morning setting 19th place, but his race was no longer than half-hour. Jumped in the car in the last sting, He had to retire due a suspension trouble. “It wasn’t the best week-end of my life, but still a good chance to make more experience on a GT car. Thanks to Zakspeed for the call and for the support in this race. I would have like to know this car a bit better before enter qualifying, but in the laps I did during the race, the feeling was good. I was almost on the same pace for Ludwigh, which is a specialist on this car. Unluckily I had to stop as suddenly the steering wheel wasn’t properly working anymore and had strong vibrations. It’s a shame as from 16th row we’re fighting for Top-15, and looking at some final issue for other opponents, maybe as well Top-10 was in our reach”.